While the first HTC handset to get the Sense UI-enhanced Android 6.0 update is the M9, the One M8 GPE is the first smartphone made by them to get updated, since it runs pure Android. 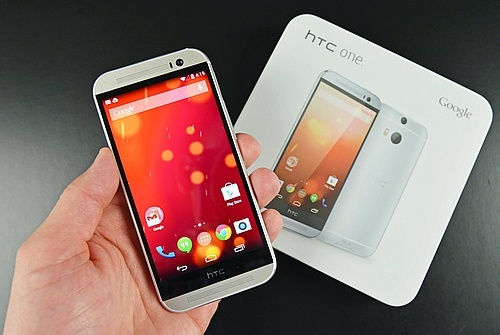 It is no surprise that Android smartphones that run the "pure" version of the mobile operating system from Google get updated first and the HTC One M8 Google Play Edition makes no exception to this rule. HTC already launched the HTC One A9, a handset that comes with Android 6.0 Marshmallow and Sense UI out of the box. However, owners of all the older HTC Android smartphones that will get this update have to wait a little longer. On the other side, the HTC One M8 Google Play Edition is a handset that runs Android without HTC Sense, so it will be the first to get Android 6.0 Marshmallow as an update. According to HTC VP of Product Management Mo Versi, the update for HTC One M8 GPE handsets went live at the end of last week. Its size is 450 MB and comes with the "regular" 6.0 changes - improved interface, enhanced performance and battery life, as well as the usual bug fixes. In addition to the One M9 and One M8, the list of HTC phones with Sense UI that will get Android 6.0 Marshmallow in the weeks to come includes the One M9+, One E9 and E9+, One ME, One E8, One M8 Eye, as well as the Butterfly 3.